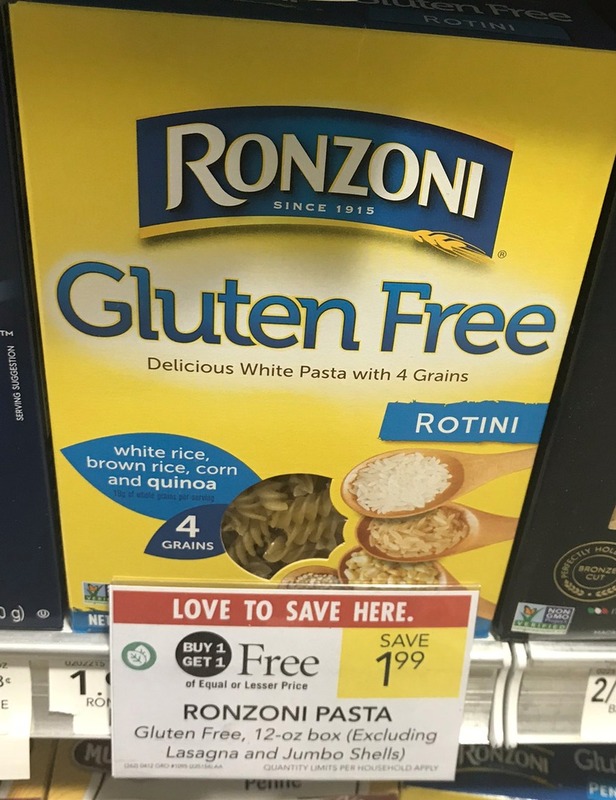 Starting Wednesday (or Thursday for folks in Florida) get an easy deal on Ronzoni Gluten-Free and Specialty Pastas at Publix! They just put out a store coupon for $1 off any (2) boxes, and it will be BOGO in the new ad!! You can print the store coupon or find the green coupon flyer in your local store.